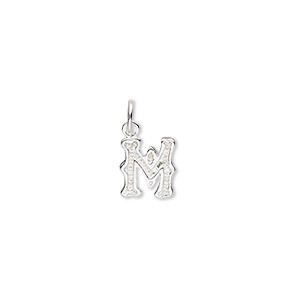 Charm, sterling silver, 11x8mm single-sided modern square alphabet letter M. Sold individually. 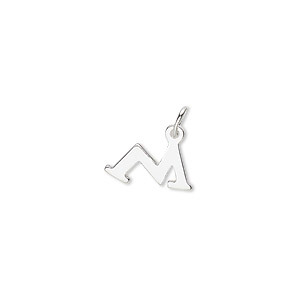 Item Number: H20-7539FN Have a question about this item? 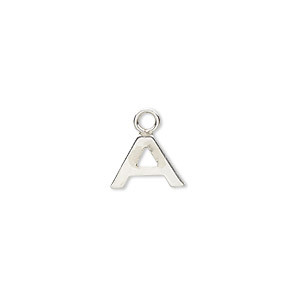 Use alphabet charms to monogram jewelry designs with customer's initials. Easily add value and personalize designs with sterling silver modern square letters. 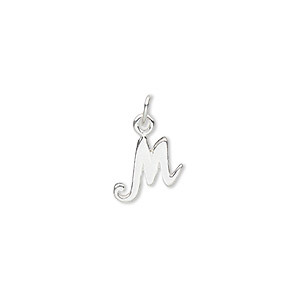 Charm, sterling silver, 13x8mm block alphabet letter M. Sold individually. 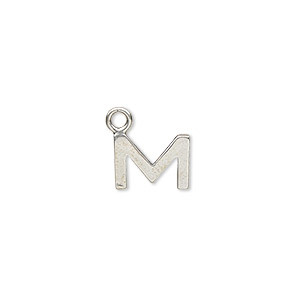 Charm, sterling silver, 9x8mm fancy block alphabet letter M. Sold individually. 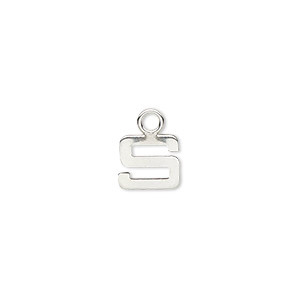 Charm, sterling silver, modern square alphabet letter A, 10x8mm. Sold individually. 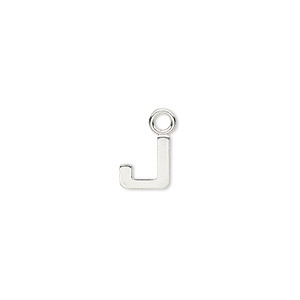 Charm, sterling silver, 8x7mm modern square alphabet letter J. Sold individually. 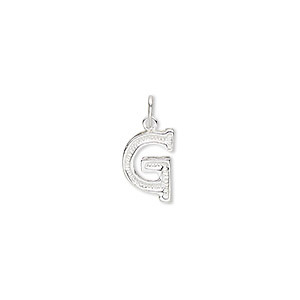 Charm, sterling silver, 11x8mm fancy block alphabet letter G. Sold individually. 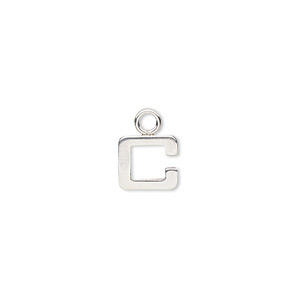 Charm, sterling silver, 8x8mm single-sided modern square alphabet letter C. Sold individually.